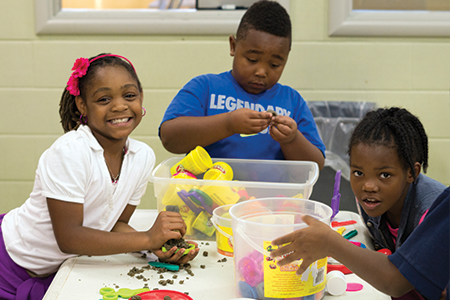 With over seven acres of athletic fields, a gymnasium, and an Olympic-size swimming pool, along with a proven track record of athletic success, Gene Slay’s Girls & Boys Club is a great place for kids to discover and nurture their inner athlete. Recreation and athletic programs are designed to encourage practice, teamwork, healthy sportsmanship attitudes, physical growth, the development of fundamental skills, and a basic knowledge of the rules of the games. Monday through Friday, youth have one hour of recreation which allows members to release pent-up energy and helps them to focus on their academic activities. Youth are also provided with supervised, structured recreational time. During this time, youth can participate in basketball, kickball, or dodgeball games. Older youth have the option to work out in the supervised weight room. GSGBC’s Sports Program provides healthy and active lifestyle choices while developing and building the skills and confidence of young athletes. The main purpose is to teach children and young adults life skills through athletics. Intramural teams are formed around age and similar athletic ability, with particular sports being played during certain seasons. 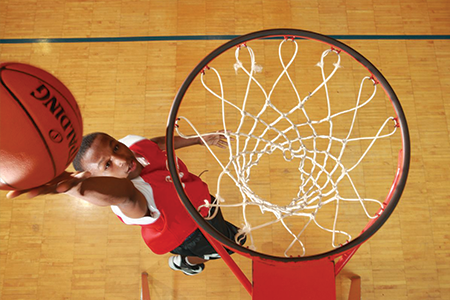 Youth can progress onto GSGBC’s select athletic teams, in which they compete with other clubs and schools from the Saint Louis Metropolitan area. This area provides an opportunity for kids to relax, socialize, and take advantage of the Club’s billiards, table tennis, board games, video game room, and bumper-pool and air-hockey tables. GSGBC has an indoor, Olympic-size swimming pool. All youth are required to take on-site basic swimming classes and be proficient in treading water, floating, and basic strokes. 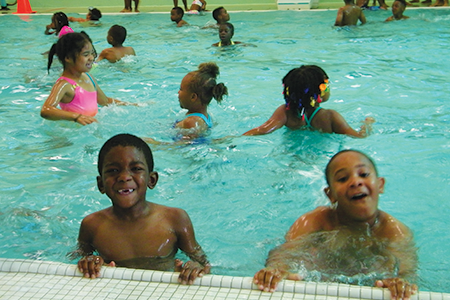 The Aquatics Program offers instructional classes for youth of all ages. Recreational swimming, and swim meets are also offered.